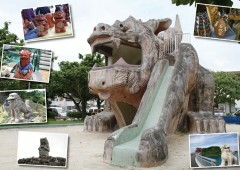 Shisa on Okinawa comes in all sizes and forms, and is everywhere where protection is needed, like this children’s slide in a park in Ginowan. 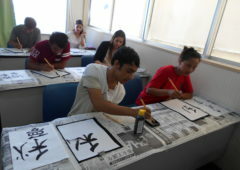 April 3 is the “Day of Shisa” in Okinawa as four (April) is “shi” and three is “san” in Japanese. 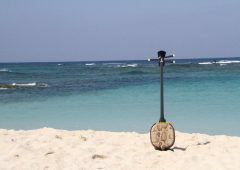 The day was established in 2002 to promote Shisa made in the Tsuboya district of Naha, the home of Okinawa’s pottery industry. 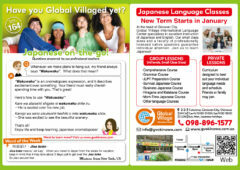 The area will also be the venue for a popular annual event dedicated to Shisa today April 3rd. 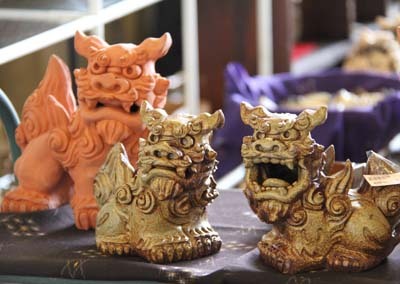 Genuine shisa are handmade and thus each has its own character. 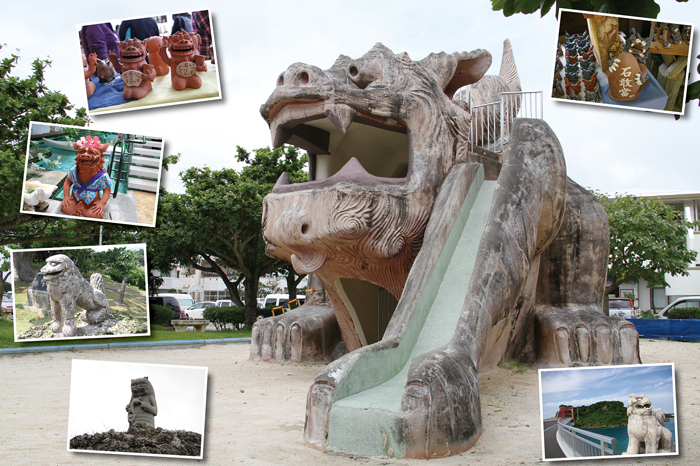 Everyone who has ever visited Okinawa has come face to face with a shisa. They usually come in pairs, and one with its mouth open is the male and the other with the mouth closed is the female. 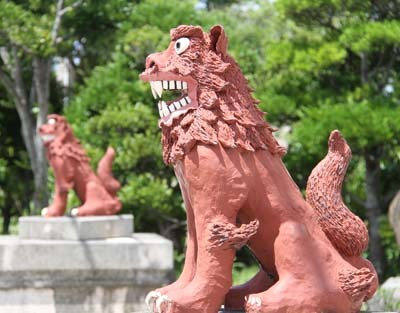 They are used as a traditional Ryukyu decoration, and resemble a cross between a lion and a dog. People usually place shisa on the rooftop or on both sides of the gate to the house, as they are believed guard and protect people in the house from evils. The female shisa with the mouth closed is always placed on the left, and the male with an open mouth to the right. 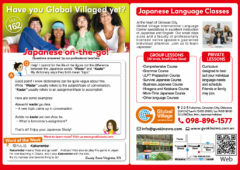 To make a mistake of placing them otherwise is believed to bring bad luck. The male shisa’s open mouth wards off evil spirits, and the female’s closed mouth keeps the good spirits in. The shisa are originally a variation of the Chinese guardian lions (“fu dogs”), and their purpose is the same, to ward off evil spirits. 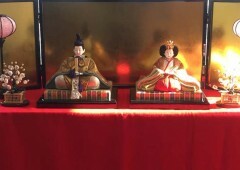 The first mention of shisa on Okinawa appeared in a 1689 history book ‘Kyuyo. 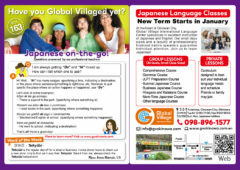 The first stone Shisa was built in Jiri Castle that was located on a hilltop in the Tomori district in what is now Yaese Town. 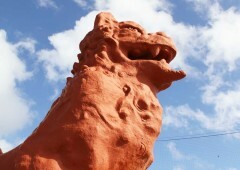 It’s also the biggest stone Shisa on the island. Shisa comes in all sizes and colors. According to a legend, the ‘Tomori-no Ishijisi’ was built to stop frequent fires that plagued the district. 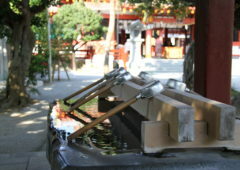 A feng-shui shaman then told the local residents to build the shisa as a warden against evil spirits of Mt. Yaese. After the shisa was built the fires stopped. These days almost every house with a tiled roof has a shisa standing on it. 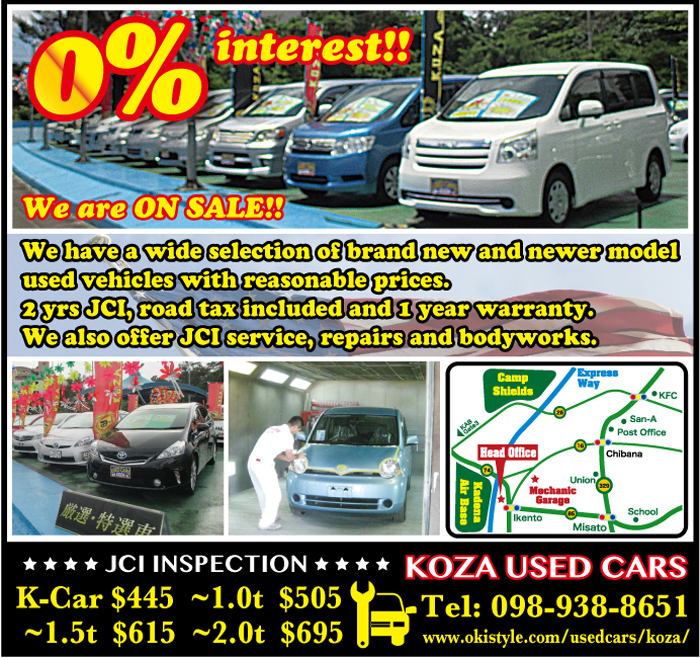 In old times most houses on Okinawa had thatched roofs, and a tiled roof was a sign of wealth and status. In a matter of fact, during the Ryukyu Kingdom era commoners were not allowed to have a house with a tile roof. 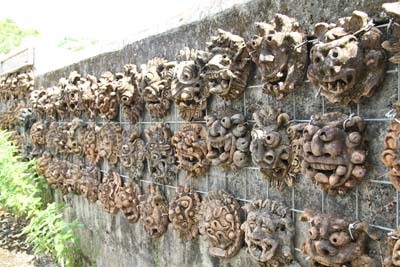 This wall of shisa faces is in Kitanakagusuku. When the tiled roofs become permissible to anyone who could afford them, craftsmen who built the roofs began to use leftover tiles and plaster to make shisa on the roofs as a decoration, and as each builder made his own style shisa, they became kind of trademarks of each builder. Most shisa on the roof stand alone, but at gates, and as decorations and souvenirs, they almost always are in pairs. Shisa are also popular as characters on various goods and labels, from cosmetics to drinks. 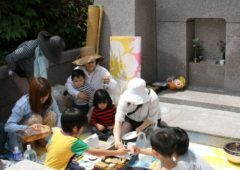 Most primary schools on Okinawa also have children making their own Shisa in arts class, and tourists and visitors are offered shisa making workshops at many sightseeing spots, like the Shisa Park in Nago, Ryukyu Mura in Onna and many others. Shisa, self-made or ready from the shop, are very popular gifts and souvenirs visitors like to send home as something truly Okinawan.